Most natural gas stocks had a pretty difficult run in 2010, as prices remained depressed and were unaided by a recovering economy. However, I believe that's about to change -- and as such, there are a few different ways to play the trend. A cooler-than-expected winter has helped supplies drop as of late, and though storage levels are still above their five-year average, the Energy Information Administration recently said there was a larger than expected drop in natural gas supplies. Part of this may be due to producers having promised to reduce drilling until natural gas becomes more valuable. 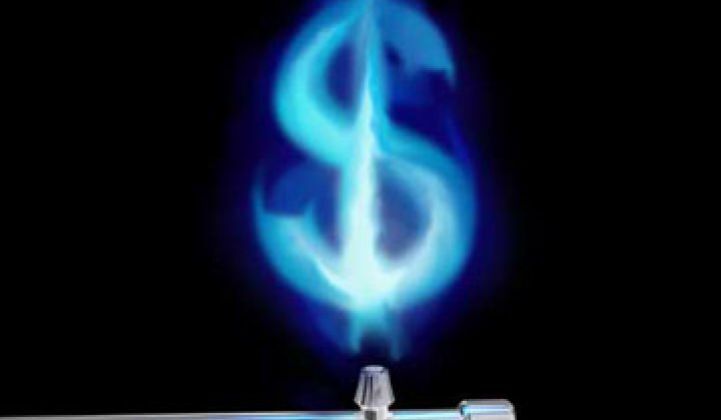 Either way, natural gas prices, which have been stuck around the same number, seem poised to pop in the future. Two independent reports from both ExxonMobil (NYSE: XOM) and BP (NYSE: BP) have reiterated a fundamental shift toward natural gas and show that usage is expected to increase by 2.1% per year for the next 20 years (compared with 0.6% for oil). Many of the big E&P companies have been trying to increase their exposure to natural gas, as Chevron (NYSE: CVX) purchased Atlas Energy in November 2010 and ExxonMobil acquired XTO Energy a bit earlier. But if you want a pretty straightforward natural gas play, then I suggest taking a good look at Range Resources (NYSE: RRC), Chesapeake Energy (NYSE: CHK), or EOG Resources (NYSE: EOG). Range Resources is a $7.8 billion independent natural gas company that has properties in the southwestern and Appalachian regions of the U.S. It is probably one of the best, if not the best, company positioned to profit from the prestigious Marcellus Shale, which holds many economic benefits for a company like Range Resources. It has recently reported that its proved reserves increased by 42% to 4.4 tcfe and that finding and development costs averaged about $0.72 per mcfe (for the end of 2010). It has proven adept at funding ventures through selling assets rather than issuing equity and diluting shareholders, and it has also been a proficient capital allocator through the years. Overall, Range represents a really solid play on the Marcellus region because of its first-mover advantage and its extensive acreage coverage. Chesapeake Energy might be the best known of the group. It has large acreage positions in almost every resource play in the U.S., which should support future production growth for quite some time. The company recently signed a deal with China's massive energy producer, CNOOC (NYSE: CEO), that calls for a one-third interest transfer of Chesapeake's Niobrara shale project; Chesapeake will get $570 million in cash and CNOOC will pay up to two-thirds of the drilling costs associated with the project. This is much-needed capital to fund ongoing operations and will also shore up the company's balance sheet a bit; overall, it's a net positive for the company. EOG Resources, with a $27 billion market cap, is the largest of the group and is both an oil and natural gas E&P company. It holds low-cost acreage positions in various emerging producing regions, has oil-rich acreage in the Permian Basin, and its portfolio includes other potential production from the Eagle Ford, Barnett, and Horn River shales. 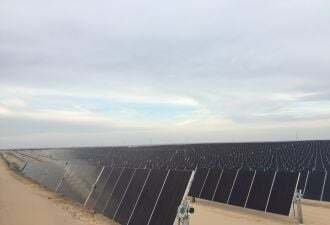 The company has a knack for unconventional resource plays and has singled itself out as one of the best operators in the business. Among the 41 companies in the S&P Energy group, about 35 are up more than 20% since August; EOG is only up about 4%. I think it might be time for this stock to pop. All of these companies have their benefits and disadvantages; all of their fates, of course, are closely tied to the prices of natural gas and oil. Range Resources, more than the other two, is tied to one specific resource: the Marcellus Shale. All of them are vulnerable to regulatory headwinds that could curtail operations and eat into profitability. I'll be researching each of these companies more over the next week and will ultimately add a $1,000 position to my Motley Fool real-money public portfolio. Check back soon to see my analysis and commentary regarding which company I choose to buy! Jordan DiPietro owns no shares above. Chesapeake Energy is a Motley Fool Inside Value pick. CNOOC is a Motley Fool Global Gains selection. Chevron is a Motley Fool Income Investor recommendation. The Fool owns shares of ExxonMobil. Motley Fool Alpha owns shares of Chesapeake Energy. Try any of our Foolish newsletter services free for 30 days. We Fools may not all hold the same opinions, but we all believe that considering a diverse range of insights makes us better investors. The Motley Fool has a disclosure policy.